Japan experiences the full spectrum of all four seasons – summers are hot and humid, spring is famous for the sakura (cherry blossom) blooms, fall brings out the fiery red in the leaves, and in winter snow is fairly common. 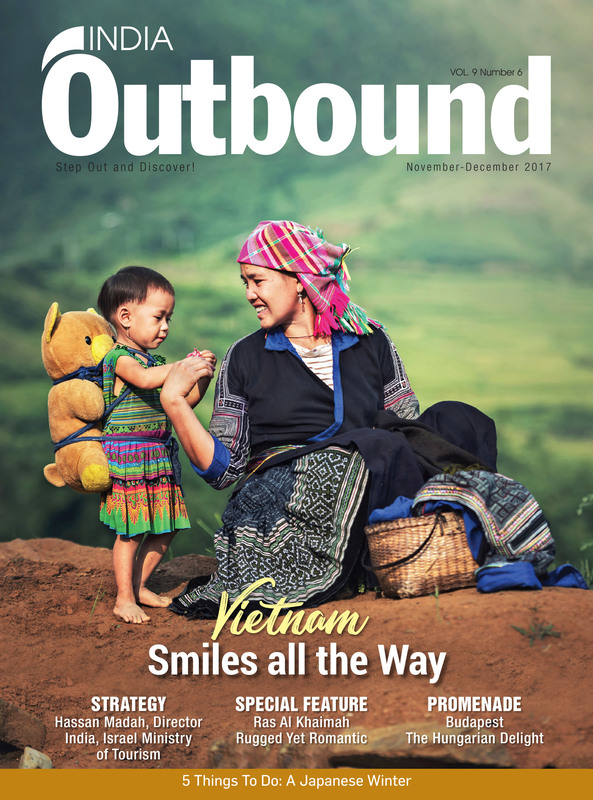 However, winter in this country also has its own unique experiences to offer. A look at what the locals do during winter in Japan. Public baths are fairly common in Japan and locals tend to make regular trips to them, however, onsens only show up where there are naturally occurring hot springs. Onsens are baths that can be situated either indoor or outdoor, with steaming natural spring water and they tend to be surrounded by inns or ryokans (traditional Japanese accommodation), which were all build around the hot spring. 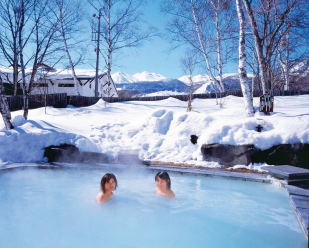 The beauty of an outdoor onsen in winter is the contrast of dipping your body in a steaming bath while it’s cold and if lucky accompanied by some light snowfall, all the while being surrounded by stunning scenery. Pro tip: While visiting any public bath in Japan, do familiarise yourself with the rules regarding hygiene to have a hassle-free experience. For most people, Mount Fuji is the landmark that is synonymous with Japan. However, the picture of Mount Fuji that we tend to see everywhere with the iconic snow cap – that view is not available all year round. The ‘white hat’ of Mount Fuji starts showing itself from October, and is in full form during peak winter season, so if you don’t want to be disappointed with the highest mountain of Japan then do plan your trip during winter. 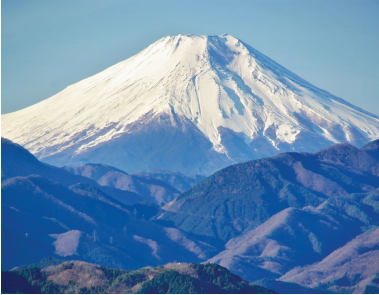 It should be noted that if you are the adventurous kind and plan to make the climb up Mount Fuji but are travelling to Japan during winter, then you will miss the official climbing season, which is from July to September… so it’s a pick between a snow cap view of Mount Fuji or a climb up the mountain. Japanese people visit shrines all year round to pay their respects to the Gods or to pray for good fortune, but during special occasions, like New Years, the shrines fill up with people and is a sight to behold. 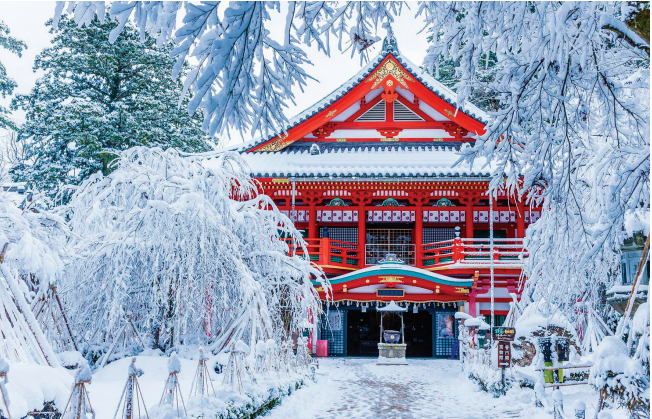 These shrines are beautiful places to visit during any time of the year and they are also a photographer’s delight, but in winter the traditions come alive in these shrines. 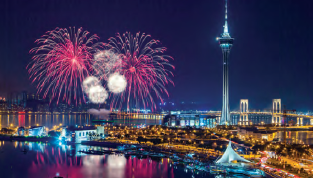 The first three days of the new year are considered to be the most auspicious days to visit the shrines and millions of people tend to visit them during this time. You can make wishes on charms and check your luck for the year. A lot of Japanese people wear traditional clothes when they visit the shrines during this time and you can get glimpses of people wearing yukata or kimono. If you are not visiting a shrine, then simply stay up and find a rooftop to catch the rays of the first sunrise of the year in the land of the rising sun. Nabe are hot pot dishes that form a huge part of Japanese cuisine. Typically the hot pots have vegetables, various types of mushrooms and seafood or meat. However, this is a broad generalisation as there are lots of versions of nabe and it is highly customisable. One of these versions is oden, which is available during winter at street-side stalls and convenience stores. Oden normally consists of fish cakes, deep-fried tofu, daikon (giant white radish), boiled eggs, konjac and kombu seaweed in a soy sauce soup base. It is available in pick-n-mix form and you can choose the items you want in your soup. This warm dish is an ideal antidote to the winter winds and is unique to Japan. Speaking of unique, if you happened to be visiting around Christmas, you will notice that KFC has a huge part to play in the festivities. It is tradition in Japan to get a bucket of fried chicken from KFC for Christmas and an estimated 3.6 million Japanese families partake in this tradition. This started with a promotion KFC conducted in the 1970s with a ‘party barrel’ for Christmas and since Japan had no tradition of their own for the season, this took a life of its own and now it’s tradition. Between November and December a number of cities across Japan have spots that are covered in an ocean of lights and are part of Japan’s winter illuminations. In some places parks and trees are covered in LED lights, but some of the more ambitious and largest ones are the Sagamiko Illumillion in Kanagawa with about six million LED lights covering the hill-sides, complete with animated lightshows and other events; the Ashikaga Flower Fantasy in Tochigi where lights are hung to resemble seasonal flowers; Nabana no Sato Winter Illumination in Nagoya, where the lights illuminate the flower park leading to a huge field being transformed; Sendai Pageant of Starlight in Sendai where about 160 zelkova trees are decorated with lights; and Kobe Luminarie in Kobe, which is one of the oldest winter illumination events and that started in 1995 in the wake of the Great Hanshin Earthquake. These are just a few of the more famous and larger ones, however, most cities have some sort of illumination going on that’s worth watching. Kenichi Takano, executive director (Delhi office), Japan National Tourism Organization suggests that apart from the above mentioned things like “onsen, Japanese food (hot pot, ramen, etc. 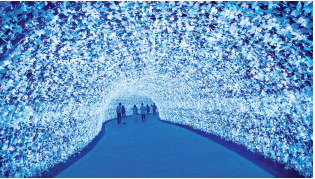 ), illumination”, visitors to the country can also “experience the snow with skiing, snow festivals, kamakura, etc., and also the Japanese heating equipment like kotatsu, irori, etc.” The snow festivals take place during February. 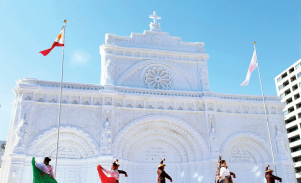 The Sapporo Snow Festival in Japan’s northernmost island of Hokkaido is one of the more popular events and has large snow sculptures that are lit up for effect. A kamakura is a igloo-like room carved out of snow. In Yokote City of Akita one can find 100 kamakura and even more miniature ones, all lit with candles. This Kamakura Festival is approximately 400 years old and is a sight to behold. When done freezing in the cold, the Japanese slip under a kotatsu, which is a table with an attached futon that can be heated electrically, an ideal winter solution that can be found in some ryokans or in most traditional homes.